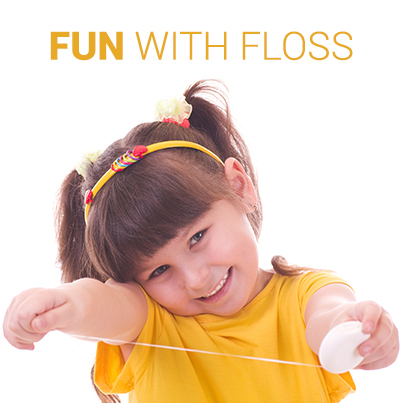 Make it a game - Turn flossing into a story or a song and your kids will be excited to do it. Give them cool tools - Let your kids pick out their own tools, like brightly colored floss sticks, and they'll be more eager to use them. Show their progress - You can put up a chart in the bathroom that tracks their success and give out prizes or rewards. Any other ideas to get kids flossing? Let us know!